90’s girls will be overjoyed by this collaboration! Remember the famous, magical cartoon with little ponies and rainbow that we used to watch when we were younger? If My Little Pony pops up in your head, then you’re definitely a 90’s kid! During the past years, My Little Pony has collaborated numerous beauty brands, such as PUR, Colourpop, and Mille for makeup collections. 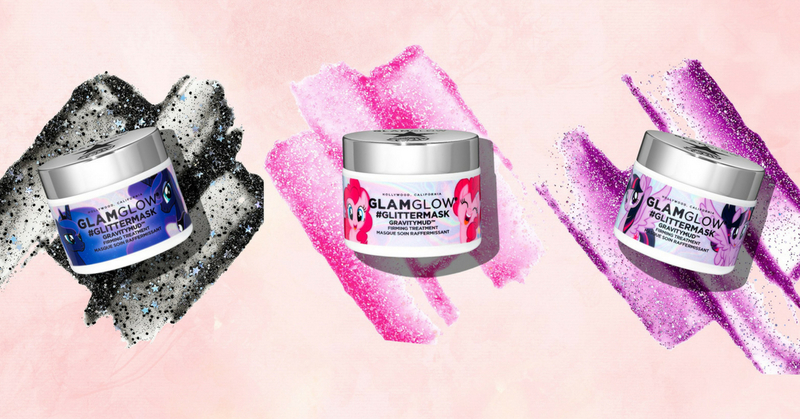 This time around, instead of collaborating with another beauty brand for another collection, My Little Pony did something different- by collaborating with Glamglow for a magical mask. If you don’t know yet, Glamglow is one of the best mask mud brands in the world. One of their bestsellers is Glamglow Gravity Mud, which is the creation from their collaboration with My Little Pony. This glitter mask has a sweet smell and it is is made of gravity mud, which helps to firm and tighten our face making us look much younger. For magpies out there, you will love this mask because of all the glitter! Don’t worry about getting your hand dirty with the mask as this mask comes with a little spatula which you can use to scoop up the mask and spread it all over your face. Once you put it on your face, leave it to dry and then peel it off easily. The effect is really fast and you immediately can feel your face tightened slightly. This mask is limited edition, so grab them from Sephora at RM 276 before they are gone!